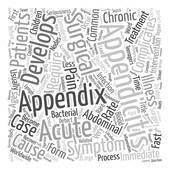 Clever Magazine, Summer 2019 " Appendix "
The life of an appendix is a lonely one. People don’t typically think about us until they decide it’s time to take us out. We sit nestled among the other organs in your lower right abdomen just waiting to be noticed. And the sad fact is, only one in fifteen Americans will ever pay attention to us. It’s only when we start to get inflamed that we attract attention, and then we’re immediately removed. People think we’re a nuisance, but you’d feel a little inflamed too if you were living a pointless existence. The intestines laugh at us. They, of course, provide vital bodily functions, and they never forget to remind us. Oh, what I wouldn’t give to be a vital organ. Even the appendix in a book is considered, “additional matter.” We’re afterthoughts. We’re God’s inside joke. Sometimes, I try to imagine important roles for myself. Maybe we regulate a hormone no one has yet discovered, and someday we’ll be as famous as the thyroid, which by the way, you can also live without. Did you know that? Lots of people live without their thyroids. It just takes some daily medicine to replace it. They’re not as important as people think, so I don’t know why they get so much attention. I try to stay positive, but it’s just no use. I’ve been inside Emily for twenty-seven years and she hasn’t thought about me once. She works out to take care of her heart. She eats healthy to help her digestive track. She doesn’t drink too much to take care of her liver. She protects her skin with sunscreen. Why hasn’t she ever thought about me? I can feel myself just getting inflamed at the thought of it. For the longest time, I’ve been pondering whether it is better stay inside and go unnoticed or whether I should have my one moment of glory. I’ve decided that I just can’t go on this way. It’s too hard being the pointless laughingstock of the body. I know it’s a suicide mission, but this is what I must do. My act of rebellion will finally make Emily pay attention to me, and though I’ll be gone from her life forever, I know she will never ever forget about me. I’ve been waiting for the right moment to enact my revenge. I keep hearing about something called a wedding. It appears that it will take place this Saturday night. Whatever it is, it must be important because Emily’s been planning for months and months. Saturday night will be my last night. I’ve said my goodbyes to my only friend, the right ovary. While she performs a large function, Emily takes pills to prevent her from carrying out her duty, so she understands resentment. I have peace about my decision. Farewell, cruel world.